Are you guys as BBQ obsessed as us?? 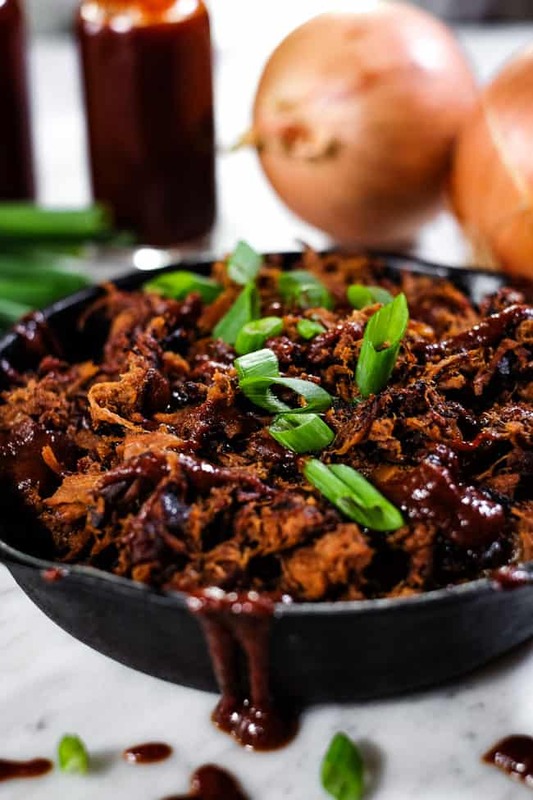 This Paleo + Whole30 BBQ pulled chicken pretty much always sounds good, and we love it so much we give you Slow Cooker and Instant Pot instructions! 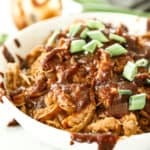 Make pulled chicken tacos, a pulled chicken sandwich with lettuce buns, a bowl, throw it on a pizza…seriously there are so many ways to love this BBQ pulled chicken! We don’t say “The Best” about things very often because let’s be real…there are TONS of options out there on the web and it’s a pretty big claim. BUT…Justin deserves kudos for this BBQ sauce because it really is THE BEST! 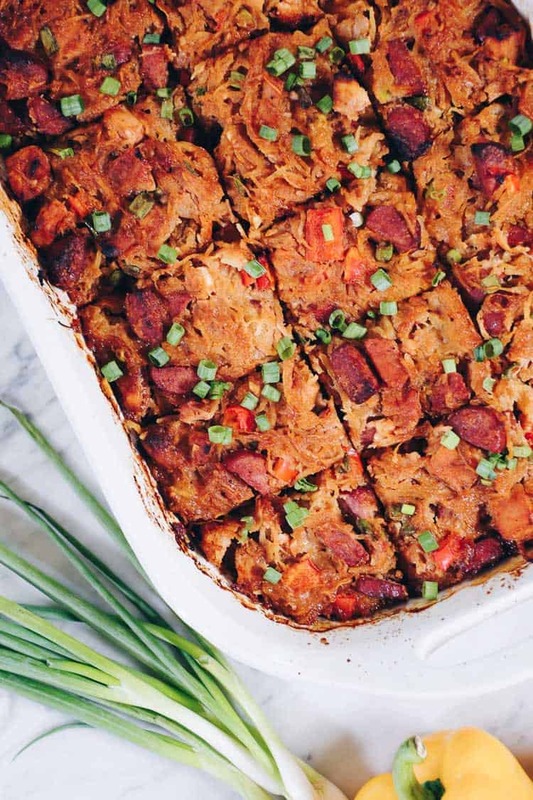 There is no added sugar at all and it’s the perfect combo of savory, smoky, tangy and sweet! 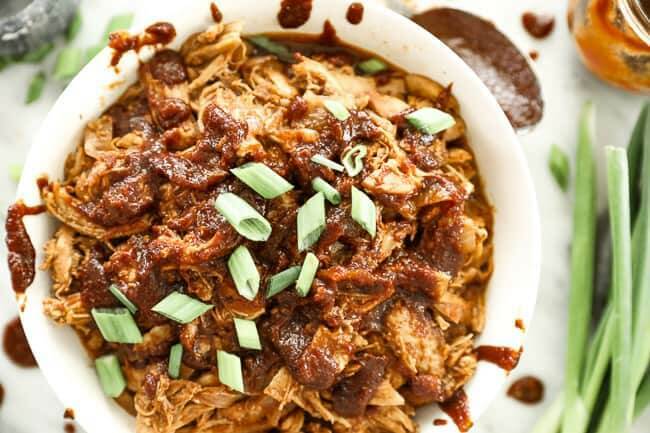 You will love this BBQ pulled chicken recipe for meal prep. 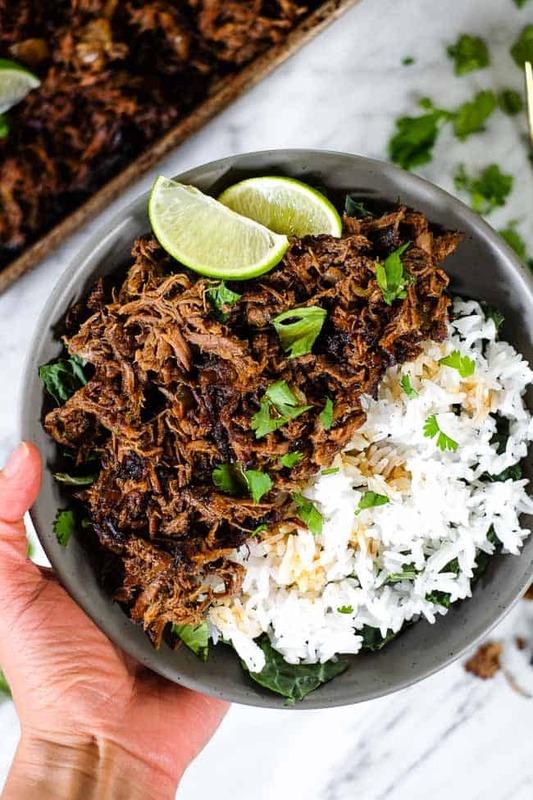 It’s super easy to make and takes little active cooking since the Instant Pot or Slow Cooker really does most of the work. 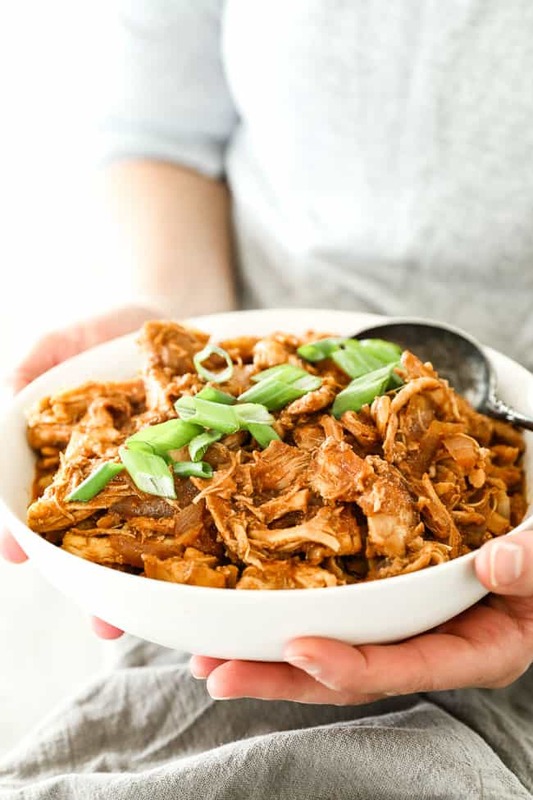 You’ll probably wish you made a double batch because you can eat the leftovers so many different ways that you’ll never get bored of this shredded chicken! 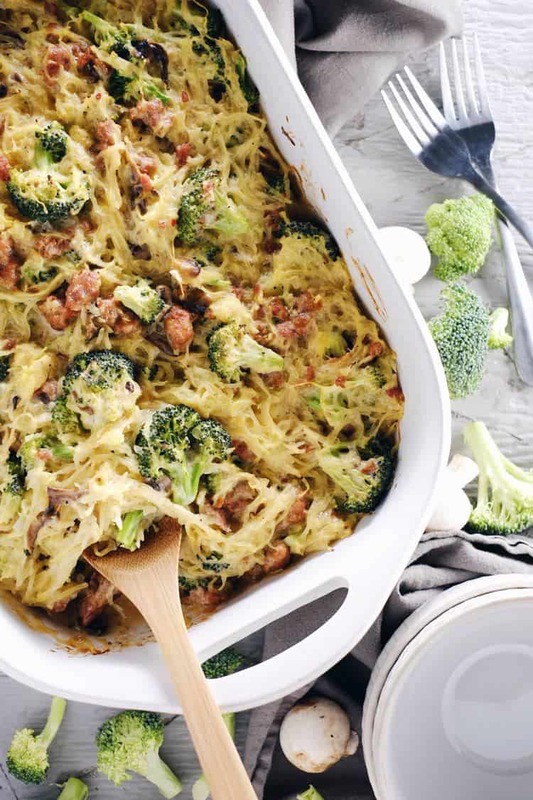 We love this meal prep protein because you can use up the leftovers in a variety of ways that make it feel a little different every time! 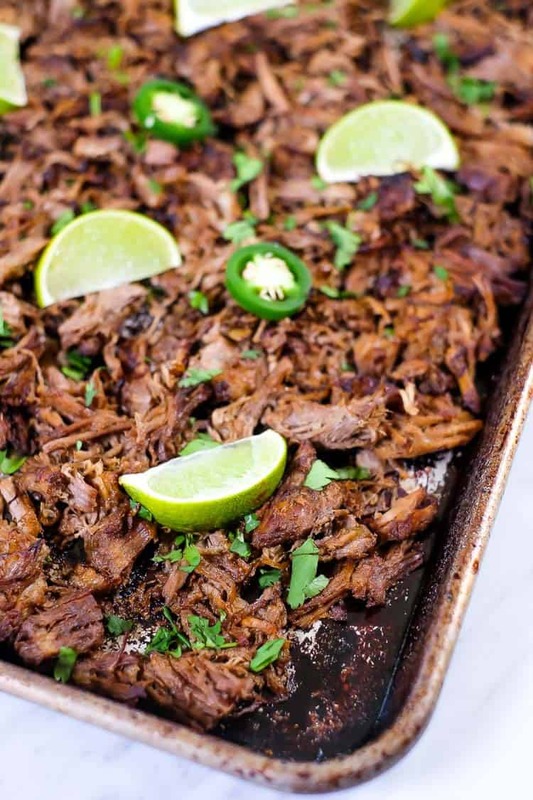 Some ideas to get you started are to make tacos with Siete tortillas or with lettuce shells, make a bowl with cauliflower rice and greens, stuff a baked sweet potato with the shredded chicken, throw it on top of a pizza or make a breakfast casserole with the chicken in it. Of course tortillas and pizza aren’t Whole30, but you do you. I’m sure the list goes on and on…where will you start? 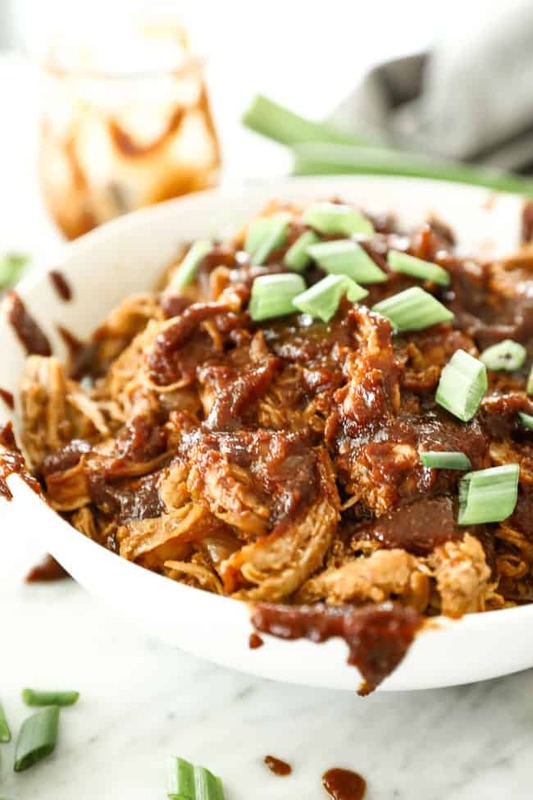 Get your meal prep on this coming weekend, and make this BBQ pulled chicken. We bet you’ll be adding it to your regular rotation! Leave a comment below and let us know how it goes. Also, take a pic to share on Instagram. Tag us @realsimplegood so we can see and maybe even share on our account. Make sure you give us a follow if you don’t already. We’d love to stay connected! 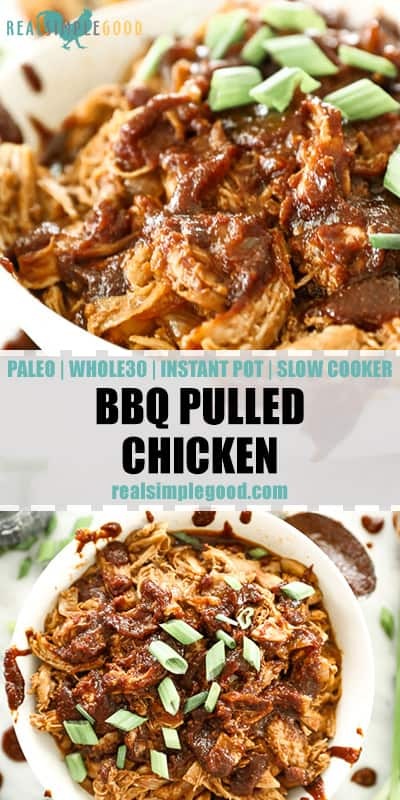 This Paleo + Whole30 BBQ pulled chicken is a versatile meal prep recipe, and we give you Slow Cooker + Instant Pot instructions! 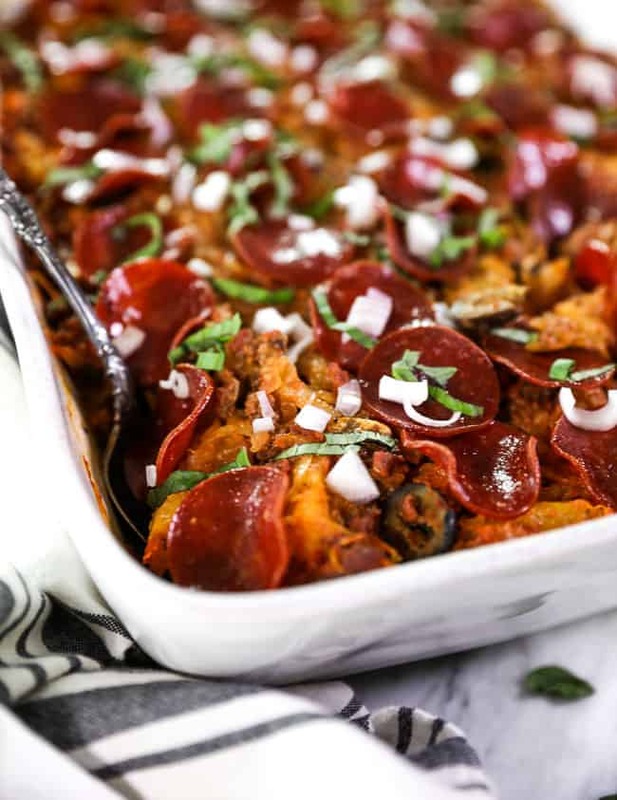 It’s a family favorite and an easy, healthy recipe with no added sugar! To make the BBQ sauce, pace all of the sauce ingredients in a mixing bowl and whisk well to incorporate. Place 1/2 of the sauce in a container and refrigerate, you’ll it use after the chicken is cooked. Pour the other half of the sauce into the instant pot. Add the chicken thighs in on top of the sauce. Press the “manual” button (or “pressure cook” button) and set the time to cook for 25 minutes at high pressure. Once the time is up, let the pressure naturally release for 15 minutes and then release any remaining pressure. Remove the lid and shred the chicken in the Instant Pot with two forks, mixing it with the juices. Serve topped with additional BBQ sauce as desired. Place the chicken and onions in the slow cooker. Pour 1/2 of the sauce over the chicken. 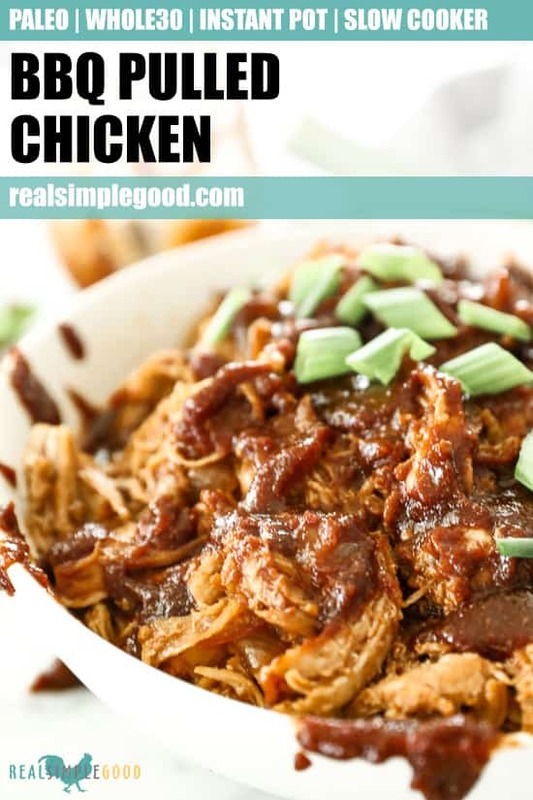 Shred the chicken in the slow cooker with two forks, mixing it with the juices. This. was. amazing! 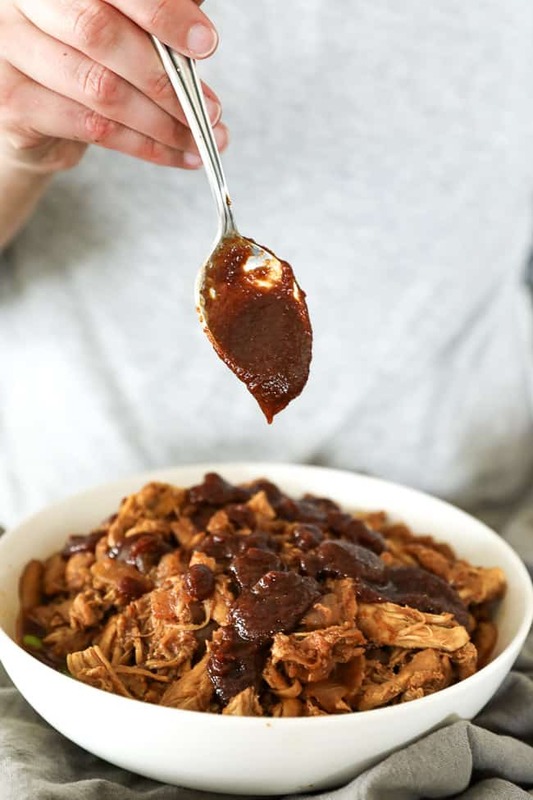 We had purchased everything to make a different recipe for shredded BBQ chicken until this one showed up in my Instagram feed. 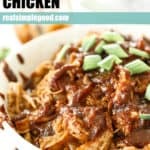 The sauce is incredible, the chicken super flavorful, and very little effort required (we made it in the crockpot). The BBQ sauce is some of the best we’ve tried. Thank you for a super flavorful sauce that deosn’t contain any sugar! For the sauce, what kind of mustard? Ground mustard or yellow mustard? Sorry just hoping for clarification. Just regular yellow mustard, although we’ve done it with dijon as well. Both turn out great!